JINAN (China): Malaysian tycoon Tan Sri Lim Gait Tong has started construction work on a planned 15bil yuan (RM9.25bil) integrated property project in Qihe, a north-west satellite town of Jinan, the capital city of Shandong province. The first phase of this cultural and touristic project, which has been named Asean International Eco-City, was launched in March. This phase of development is ex­­pected to cost 2.5bil yuan (RM1.5mil). Details of this project were disclosed by project general manager Lim Chuan Boon to a visiting Malaysian business delegation led by Lawrence Low, political secretary of Minister in the Prime Minister’s Department Datuk Seri Dr Wee Ka Siong. “When Tan Sri Lim was planning for the 10sq km project in 2010, he had in mind that it would be timely to bring Asean investors to the northern part of China as the south such as Fujian and Guanzhou pro­vinces are already congested with investors from South-East Asia. “We launched the first phase of this 10-15 year project on March 10,” Lim told a briefing yesterday. The brochure on the project stated that the eco-city will be a launching pad and trading hub for entrepreneurs from China and Asean. There will be trade centres, convention centre, Asean cultural centre, Asean trade and commercial hub, luxurious hot spring spa resort, medical and health rejuvenation centre, resort villas and condominiums when the whole eco-city is completed. Lim said the first phase would centre on development that depicts the rich cultures of 10 Asean nations. Asean landscapes, street art and architecture of buildings will form the core design of this phase. “We want to create a conducive environment providing the right ambience for tourists and investors. 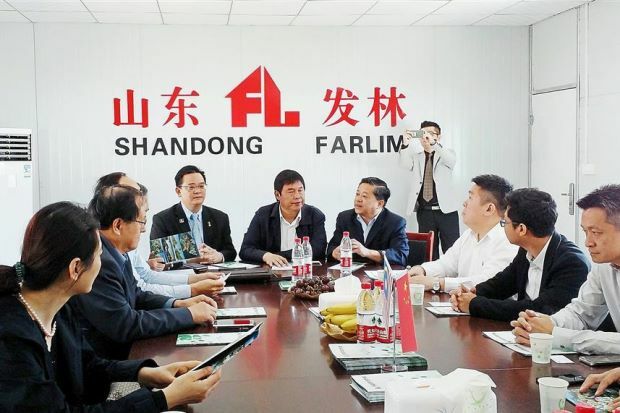 As this place is well connected and is only 15 minutes drive from Jinan-West high speed rail station and 30 minutes away from Jinan airport, and easily accessible from Beijing, we will not be short of holiday makers,” said Lim. He told the Malaysian delegation seeking business opportunities in China that there was also a plan to develop a halal hub in the Asean International Eco-City as China’s Muslim population is about 80 million. He said the company was working with a China economic think-tank based in Kuala Lumpur on the plan. Lim also said Shandong was chosen to develop the eco-city partly because this was the birthplace of Confucius. “Our project site is located by the Yellow River which is one of main sources of 5,000 years of Chinese civilisation. This place will become a good location for the confluence of cultures and a platform for cultural exchange,” he said.